A new NASA-funded study finds that lightning storms were the main driver of recent massive fire years in Alaska and northern Canada, and that these storms are likely to move farther north with climate warming, potentially altering northern landscapes. The study, led by Vrije Universiteit Amsterdam and the University of California, Irvine, examined the cause of the fires, which have been increasing in number in recent years. There was a record number of lightning-ignited fires in the Canadian Northwest Territories in 2014 and in Alaska in 2015. The team found increases of between two and five percent a year in the number of lightning-ignited fires since 1975. To study the fires, the team analyzed data from NASA’s Terra and Aqua satellites and from ground-based lightning networks. Lead author Sander Veraverbeke of Vrije Universiteit Amsterdam, who conducted the work while at UC Irvine, said that while the drivers of large fire years in the high north are still poorly understood, the observed trends are consistent with climate change. “We found that it is not just a matter of more burning with higher temperatures. The reality is more complex: higher temperatures also spur more thunderstorms. Lightning from these thunderstorms is what has been igniting many more fires in these recent extreme events,” Veraverbeke said. Study co-author Brendan Rogers at Woods Hole Research Center in Falmouth, Massachusetts, said these trends are likely to continue. “We expect an increasing number of thunderstorms, and hence fires, across the high latitudes in the coming decades as a result of climate change.” This is confirmed in the study by different climate model outputs. Study co-author Charles Miller of NASA’s Jet Propulsion Laboratory in Pasadena, California, said while data from the lightning networks were critical to this study, it is challenging to use these data for trend detection because of continuing network upgrades. 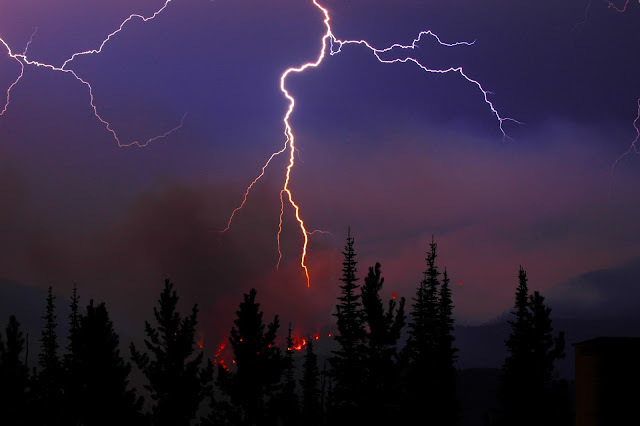 “A spaceborne sensor that provides high northern latitude lightning data that can be linked with fire dynamics would be a major step forward,” he said.